Could there be a pair of truly wireless earphones that are as good or better than Apple’s AirPods? My new answer after listening to these Lightsky wireless earbuds for a day is an unqualified yes. These sound better because of their tight seal on the ear canal and internal magic. They don’t have the Apple-esque coolness like the ability to see how much charge they have left on the iPhone screen, but they still have charge indicator lights and a similar charging case. And they are a bit balky with starting them up if you don’t insert them at exactly the same time, but I think I’ll get the hang of that soon enough. 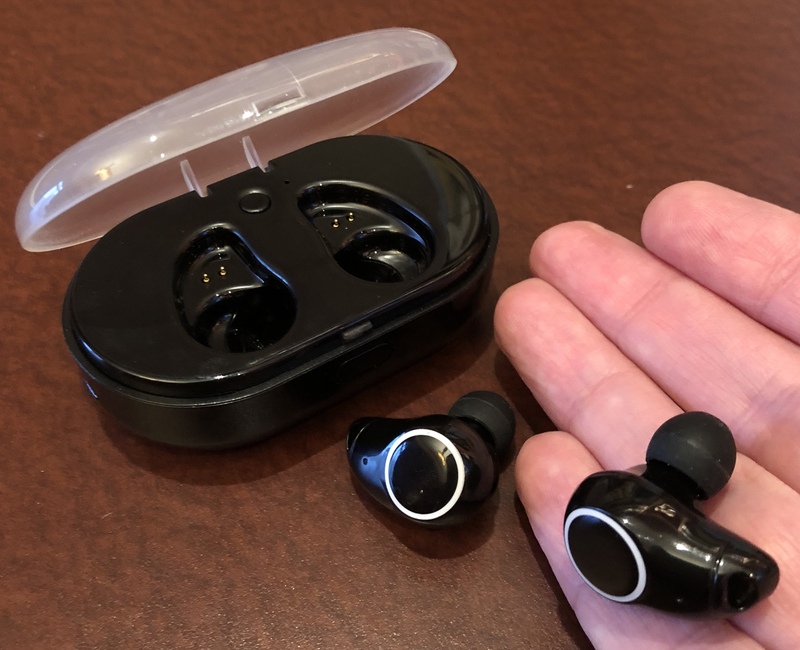 I’m willing to overlook those slight shortcomings, though, because these Lightsky wireless earbuds have much better bass, cleaner highs, better comfort and they don’t look goofy with that white stick growing out of my ears. Best of all, at $49.99 they cost less than a third of Apple’s $159 AirPods. They’re just as wireless and magical, but not quite as effortless. In my view, the effortlessness difference is so slight, it’s nowhere near $109.01’s worth of effort. I don’t know about you, fellow Apple fans, but I’m getting tired of paying the Apple Tax. And now my dear wife will stop calling me a space alien with those white sticks growing out of my ears!